Professor Gross directs the law school’s two major clinical externship programs: Judicial Externship, which places second- and third-year students with federal and state court judges, and Legal Externship, which provides opportunities for second- and third-year students to receive fieldwork placements in the private and public sector to learn firsthand about the practice of law. Professor Gross also teaches professional responsibility at the law school. 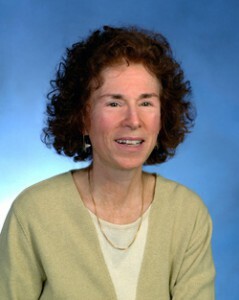 Professor Gross received her bachelor’s degree from Northwestern University, a master’s from the University of Illinois at Urbana-Champaign, and her J.D. degree from Indiana University (Bloomington) Law School, where she was a note editor of the Indiana Law Journal. Professor Gross co-directed and taught courses in criminal law and professionalism for the Chicago futures exchanges. She frequently serves as a panel member of the Probable Cause and Business Conduct Committees of the Chicago Mercantile Exchange Group. Currently, she is Professor-Reporter for the Illinois Supreme Court Committee on Professional Responsibility, which reviews the entire body of rules and professional responsibility issues affecting Illinois lawyers.